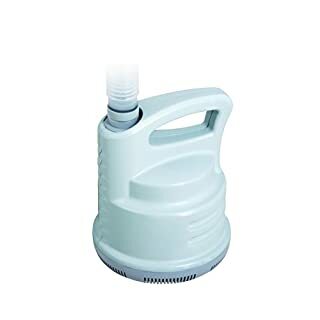 Bestway 800gal Pool & Drain Pump is quick and easy way to clean an above ground swimming pool of filthy water. 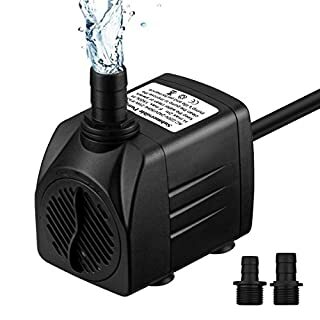 The pool heater has a power cord that plugs into an electrical outlet and a 5m hose that dangles into the water. 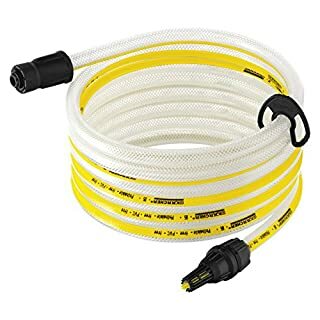 The hose, which comes with all the vital attachments, automatically drains water and dumps it wherever the pump is placed. It's made from hardwearing corrosion-proof materials to ensure that it lasts for many sunny seasons. The pump drains 800gal (3,028L) of water per hour and is compatible with all pools in the Bestway collection. 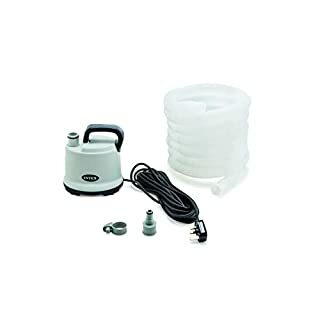 Bestway 800gal Pool & Drain Pump also comes with an attachment to attach it to a garden hose so that changing to clean, clear water is as simple as draining. Perfect Decoration for Your Garden. 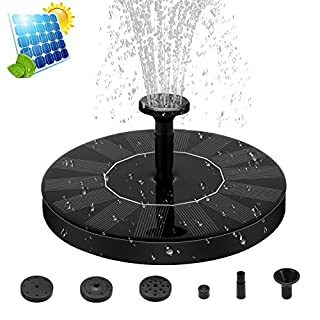 Our solar fountain pump will bring much fun and vitality for your garden, bird bath, swimming pool, fish tank, aquarium and so on. 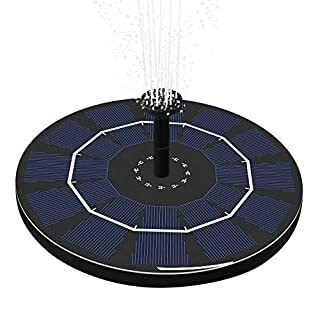 Product Specification: 1.Solar panel: 7V/1.4W, Diameter: 6.3" 2.Maximum flow: 40 gallons/hour 3.Maximum spray height: 19", Regular: 12-16" 4.Minimum water depth in fountain is 1 3/4" Note: Spray height depends on nozzle head and sunlight intensity. If solar fountain pump doesn't work well, please move it into direct sunlight for seconds. It is not a product quality problem in which the solar fountain doesn't work continuously at cloudy / gloomy day. Please wait and try it again at fine and sunny day. Failure & Solution: The solar fountain pump will not work well in the following cases : 1.In shadow. Solution: Please move it into direct sunlight. 2.Water level is under minimum requirement. Solution: Please add water to minimum depth at least. 3.Solar panel is blocked or dirty. Solution: Please clean solar panel with soft dishrag or tissue paper. 4.Water inlet/outlet is blocked or dirty. 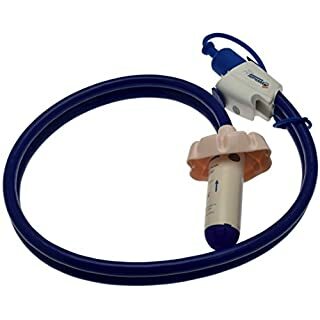 Solution: Please clear inlet/outlet port or change nozzle. Customer Service: Should you have any problem in using our product, please don't hesitate to contact us immediately. We promise to reply you and solve the problem within 24 hours. Warranty: We offer 1 year unlimited warranty for our products. You can return the product for free for the first 30 days without any questioning. Any of your email/message will be replied within 24 hours. Description: - Multi-functional pattern nozzle head for submersible water pumps. - Replacement nozzles head allow you to choose fountain water patterns. 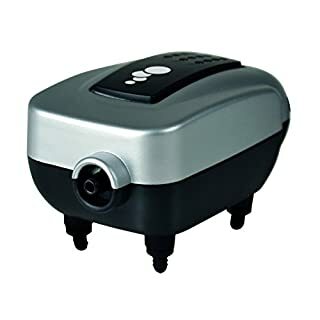 - Wide use at Aquarium, fish tank and small pond pool. - Nozzle heads should be cleaned regularly to prevent blockage. 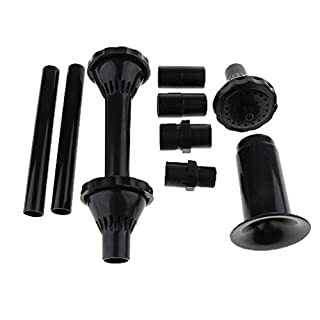 - Made of high quality plastic, durable to use.Specification: - Material: Plastic - Color:Black - Size S - Pipe Size(LxDia): 15x1.5cm/5.91x0.59inch, - Cone Pipe Size(Hx Big Dia. 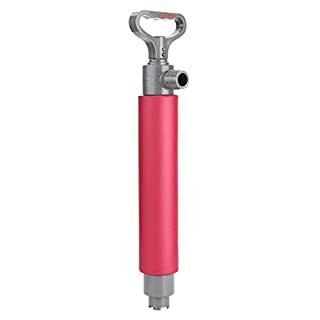 x Small Dia):8.5x3x1.8cm/3.35x1.18x0.71inch, - Nozzle Size:(DiaxH):1.7x3.5cm/0.67x1.38inch - Size L - Pipe Size(LxDia): 15x1.8cm/ 5.91x0.71inch, - Trumpet Head Size(HxSmall Dia.x Big Dia): 9x3.5x6.5cm/3.54x1.38x2.56inch, - Flower Pipe Size(HxDia):20x6cm/7.87x2.36inchPackage Includes:1 Set Water Pump Nozzle Head (Include 7 Pieces)Note:Due to the light and screen setting difference, the item's color may be slightly different from the pictures.Please allow slight dimension difference due to different manual measurement.Quality, Price, Service. Everything is in Our Store, Good Life Starts In This Moment. Welcome! 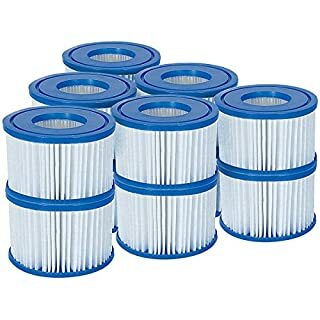 Replacement cartridge for Lay-Z-Spa (Miami, Vegas, Palm Springs, monaco Easy to clean Contains two filter cartridges Approx 10.6cm x 8.0cm Safety Information: Warning. Not suitable for Children under 3 years. 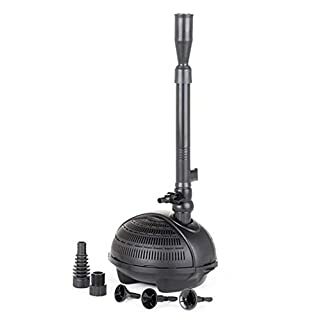 Luigi Plumbing Siphon Aquarium Pump Keep routine water changes efficient and stress free with the Luigi Plumbing aquarium siphon pump. Pre-assembled, this pump is ready to use. 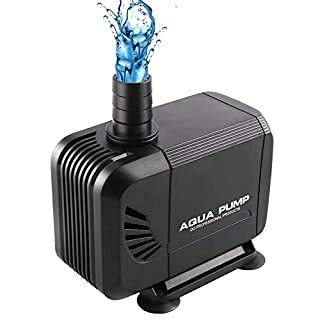 When starting a siphon, whether for cleaning your fish tank or for something else, you will need to get the water over the highest point in the siphon, with no air between the source water (your fish tank) and the high point. This can be accomplished by any of a number of means. 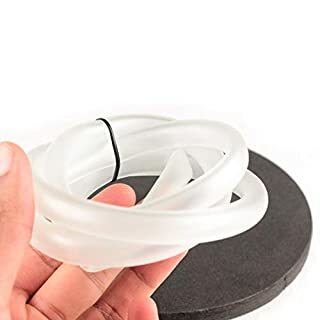 We recommend the "immersion" method:Lower the entire siphon into the aquarium slowly, making sure that you get all of the air out of the tube. 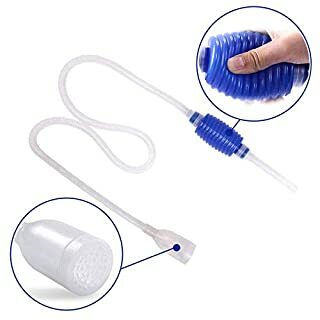 Then plug the one end of the tube with your finger or thumb and lift that end out of the tank (being careful that the other end does not come out of the water) and lower it toward the bucket before releasing your finger. 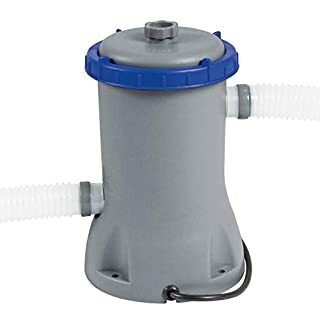 When you release your finger, the water should start to flow into the bucket.This Will effectively transfer liquid whether cleaning or emptying your aquarium, this siphon is designed with a strainer fitted to the inlet tube to prevent fish from being sucked into the vacuum. 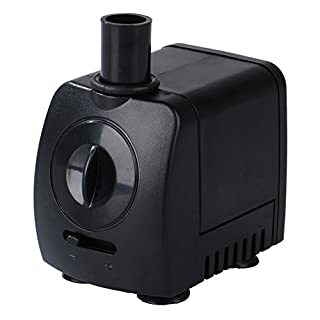 Keep your aquarium clean and your fish happy and purchase your siphon pump today! Don't forget you still have a 100% money back guarantee to fall back on, if you're not happy for any reason just let us know for a full refund, no questions asked! 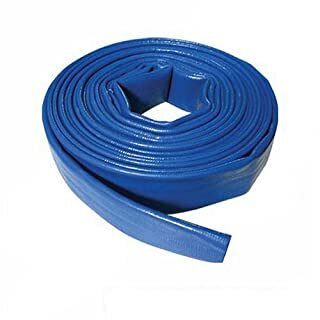 High capacity 10m discharge hose compatible with Silverline submersible pumps. "Our Swell Pond Fountain Pump 750 is designed to create a beautiful feature in your pond. From the smallest to even the largest garden pond, our water feature pump can add an elegant touch to your garden. With an integral strainer cage to keep debris and waste out of the pump, the unit not only has great results but a long life too. This pond pump comes complete with four fountain heads to create different looks; Vulkan, Jet, Bell and Calyx. A telescopic fountain extension ensures a vertical spray pattern and operates on a pivoting ball joint on the larger models for ease of use. 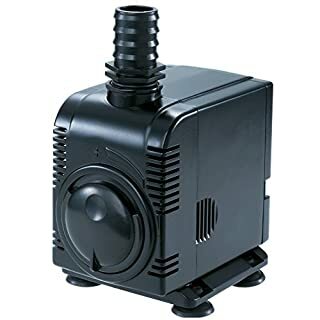 These pumps offer fountain heights from 25cm to 220cm respectively, so you can create the most stunning water features even in the smallest pond. This pond water pump has a thermal cut-off switch to protect the pump should it become blocked. It is also covered by a three year warranty for peace of mind. Key Features: This model provides 720 litres per hour flow rate Strainer cage to keep debris out and protect components Thermal cut off switch Larger models include a stepped adaptor and an adjustable outlet Four different fountain heads for a variety of looks 3 year warranty Comes complete with 10m of power cable Additional Information: Fountain Pumps 750 & 950 - fountain only "